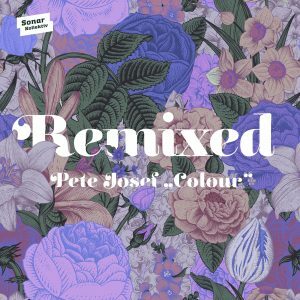 In October 2015 Pete Josef released his debut album, Colour on Sonar Kollektiv. The album was an outpouring of soulful emotion that crossed genres and announced Josef as a fresh and authentic voice in modern pop music. In the past 18 months he has toured worldwide with his band, performing shows at Montreux Jazz Festival Japan 2016, Gilles Peterson Worldwide Awards 2016, and one of the festivals of the moment, Southern Soul Montenegro. We have also seen two acclaimed remix EP’s, featuring the creative talents of Mark De Clive-Lowe, UK’s LV and Glow In The Dark, and Kyoto Jazz Sextet’s revered mix of ’The Travelling Song’. Not content with the offerings to date, Josef and Sonar Kollektiv have one last release to complete the Colour journey. Colour Remixed features all previous remixes, plus 8 exclusive new offerings from Roni Size, Typesun, Envee and Urmet K, and features from Speech Debelle and Manu Delago. The Roni Size ‘Travelling Song’ remix manages to capture both the classic Reprazent vibes of that golden late 90’s era, whilst building to a drop that will satisfy clubland in the way only the biggest Full Cycle Remixes manage to do. It has something of a 70’s soul musicality in the live instruments (bass, fender rhodes and guitars played by Josef), but is transported timelessly into 2017 with Roni Size’s trademark synths, beats and basslines. This remix is a reminder of the ongoing and fruitful collaboration between Size and Josef that begun a decade ago with Josef playing guitar in Reprazent Live, and has since seen him feature as vocalist and instrumentalist on numerous Roni Size releases. Typesun and Pete Josef too have some history. They have collaborated since 2000 in different capacities, each playing in the other’s live projects back in Bristol, UK. 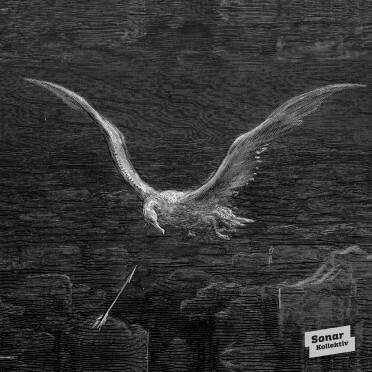 Remarkably this is their first collaborative release; and it is a serious showcase of production prowess. Somehow Typesun has managed to transport the skippy, atmospheric synth-pop of ‘Night Gospel’ into an entirely different realm, creating a modern soul classic worthy of the late great Curtis Mayfield. It is a hard-hitting, groove-laden take on this drifting and emotional song that will surely make its way into the dancehall with its driving, yet dreamy atmosphere. Being the prolific and inspired student of sound Typesun is, he included unprompted in his submission the ‘Magnetic Sense Field Dub’ mix for those looking to go a little deeper into the leftfield of future-soul. The release of Colour brought Pete Josef to the attention of some much-respected fellow artists, and none more so than 2009 Mercury award winner, Speech Debelle. Responding to the effervescent energy of the album’s title track, Speech apparently penned her inspired verse whilst listening to ‘Colour’ at the beach. Her mercurial spoken word graces the intro of this edit with a swing and a swagger only a rapper of her caliber could muster. She references religion, philosophy and the natural world in a verse that builds in intensity to introduce the by-now familiar opening ‘Ooh’s’ of this snapshot of the joys of living in a Technicolor world. 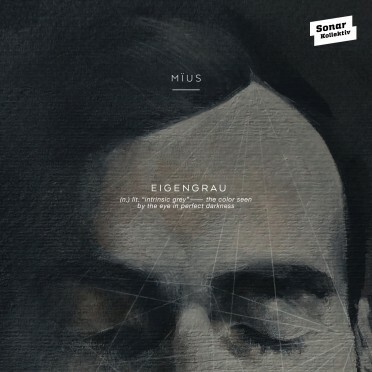 There is a broken beauty in the Bossa flavours brought by slick Polish Producer, Envee. The track twists and turns in it’s harmony and groove, but never interrupts the flow towards new and unexpected heights. It constantly confounds expectation, with an easy mix of live elements and masterfully sculpted synths, and evokes the spirit of an easy afternoon in the Brazilian sunshine. Lovers of deep house will appreciate ‘Colour’ in all its straight-ahead, 4-to-the-floor glory. Forget the syncopation; the intricacies of the soul and jazz grooves found in other versions, this is pure, 100% roll the top down summer soul anthem. Estonia’s finest, Urmet K has expertly crafted this dancefloor killer, whilst maintaining sensitivity to the atmospheres and emotion in the original. For the opener of Colour Remixed we have a very special recipe of otherworldly sounds, featuring one of Pete Josef’s most recent and exciting collaborators. In November 2016, Manu Delago (Bjork, Anushka Shankar, Cinematic Orchestra) released the single ‘A Step’ on Tru Thoughts Recordings, featuring Josef. It is a haunting, heart-wrenching duet with hang and voice that seems to have the power to move it’s every listener. Whilst exploring sounds together, the two multi-instrumentalists began work on a new interpretation of ‘Colour’. Josef recorded with Delago in London early in 2017 and came up with a soundscape that immediately whisk’s you away to the Island’s of Indonesia, with the lapping shores, the beating sun, and the hubbub of Island life. The hang ebbs and flows, and combines with warm, expansive synths in one of Pete Josef’s most ethereal productions to date. 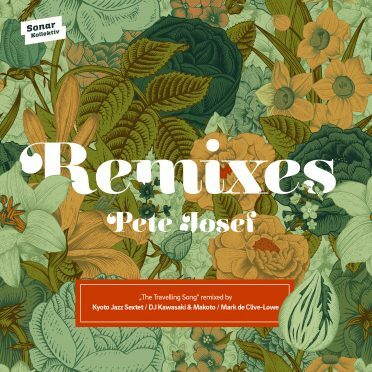 It sets the scene perfectly for what is to come on Colour Remixed; a journey through artists, genres and personalities, all brought together by the inimitable original music of Pete Josef.